Walt Disney World has shared some new concept art for the new 15-story tower that will be opening next summer at Disney’s Coronado Springs Resort. 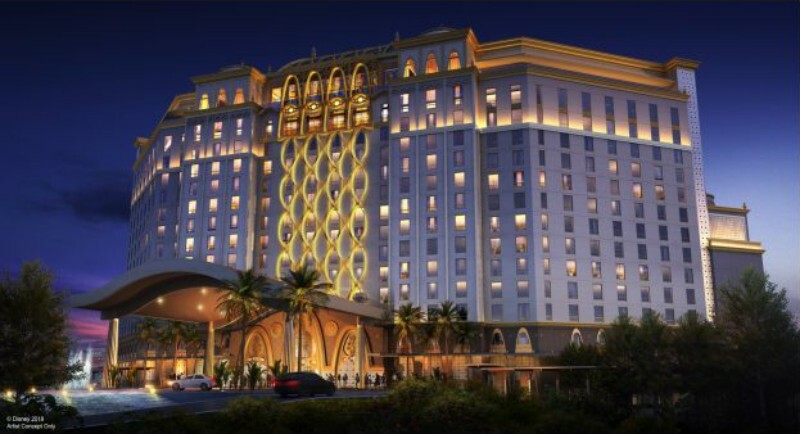 The expansion will add 545 guests rooms, including 50 suites to the resort. 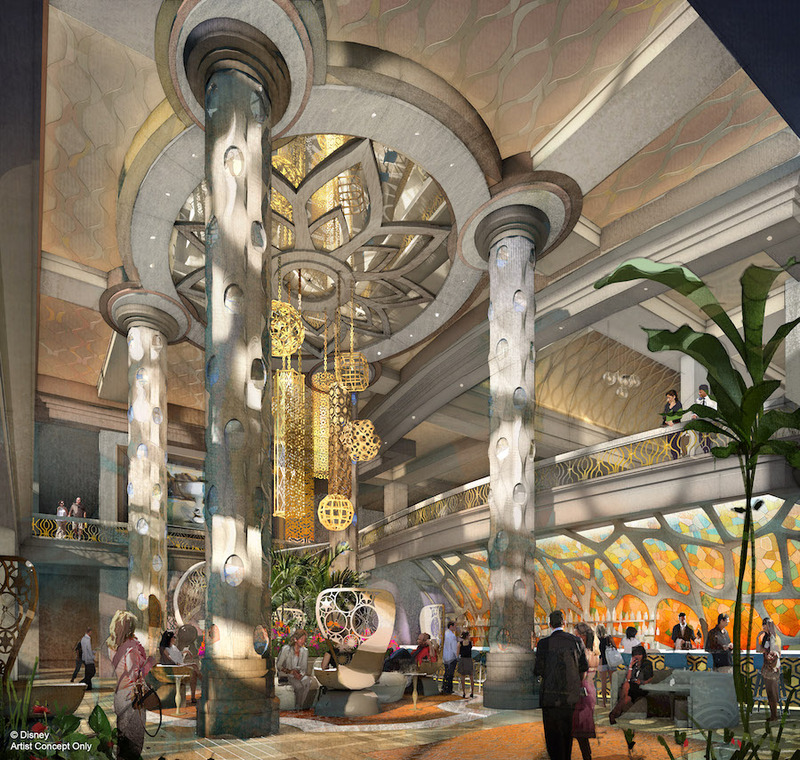 The new tower will be the centerpiece of the resort and will include a new two-story lobby that guests will see as they first enter the resort, plus a restaurant on the top floor that is sure to have spectacular views of Walt Disney World. We got a brief look at the new lobby back in November and again in February, but this new view shows off the high ceilings and mezzanine level. In addition to the 545 new rooms, the existing 1,800 rooms are getting a refresh as well, with new fixtures, furnishings, and lighting. A new restaurant is also coming to an island the middle of Lago Dorado, the resort’s 14-acre lake. New walkways will allow guests to cross that lake, making getting around the resort easier, plus a new color palette will unify the new and the existing areas. An exact opening date for the new tower and eateries has not been announced.